★This clock featured has a deep espresso stain and made with all medal numbers. 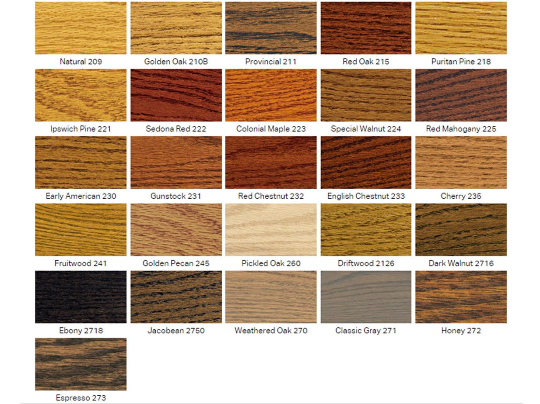 ★ Please specify any personalizations you would like, in the sellers section. This listing is for one, wall clock. 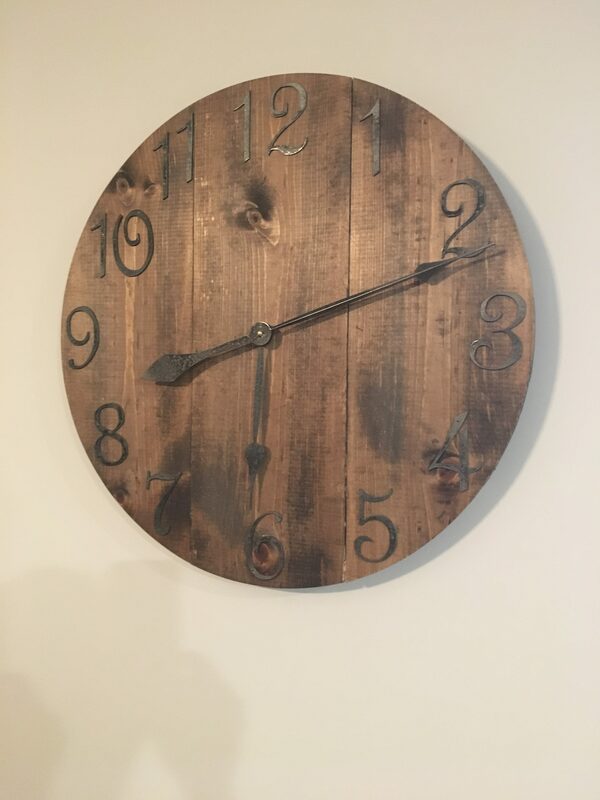 This clock is 24 inch. I can also do a variety of sizes. 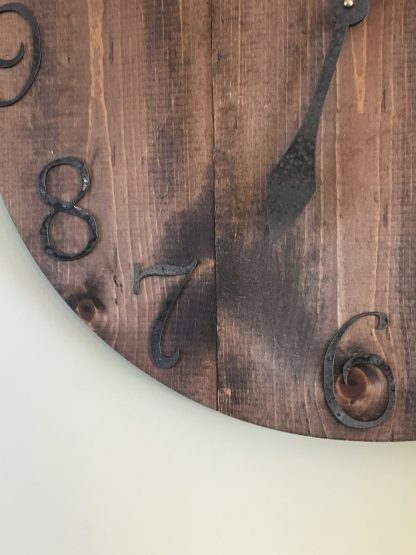 ★ This clock features a basic dark espresso wood stain, and perfectly placed metal numbers. 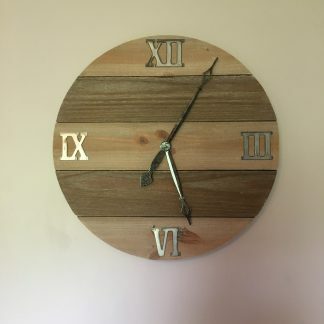 This clock is made-to-order, and will be ship in 2-3 weeks! 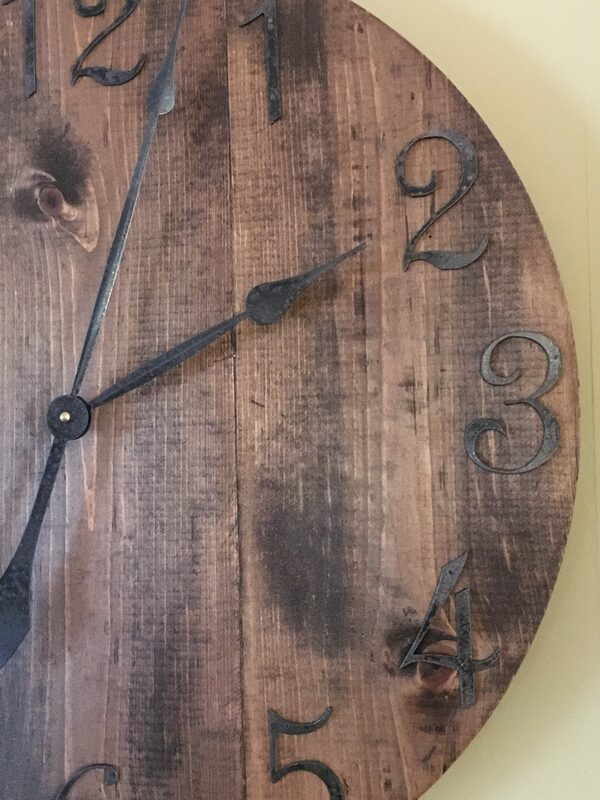 ★ Please specify the name you want on the clock as well as the date, if so desired, in the notes to seller section. This clock will add the perfect rustic or classy touch to your home and or office. 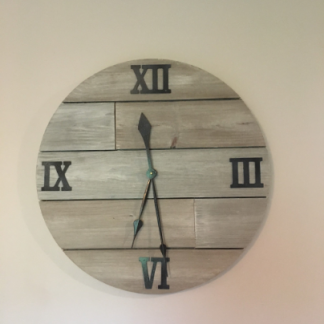 This clock is completely handcrafted and hand painted on hand picked solid pine board, I do not use pallet boards, or MDF for my clocks. 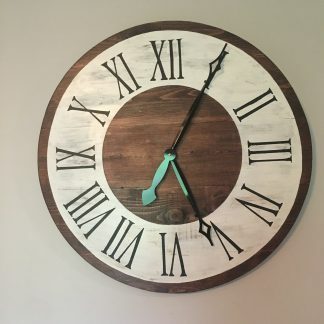 Your clock will vary from the one pictured as each board will be different. 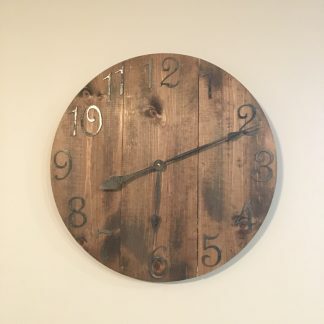 The clock you purchase has a special uniqueness because no piece of wood is the same. 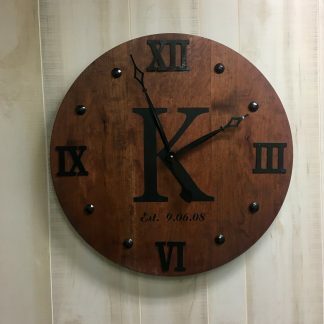 During the process of making the clock I keep you posted because my goal is to get and keep happy customers. If you have any questions please contact me.. I will make it with the board in the picture unless otherwise requested. **Some assembly required, as it is simple and easy, and to ensure they arrive in good shape. 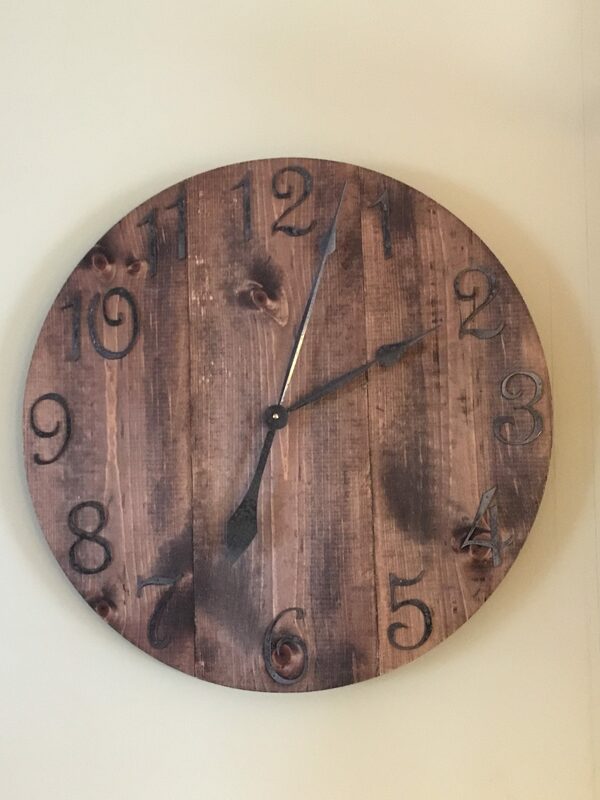 The hour hands go on first then the minute hand. They are tightened down with a brass nut that comes with the mechanism. 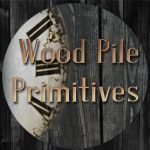 Wood Pile Primitives guarantees the quality of the clock base and we use high quality clock motors (high-torque movements). 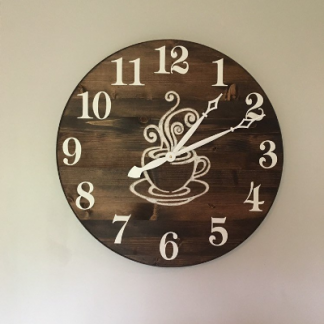 From start to finish, I do everything in the construction of my clocks. 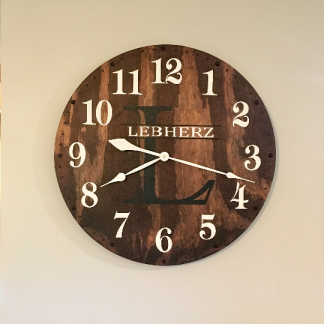 I hope you will enjoy the finished product as much as I enjoyed creating it. Clock component is a High Torque Quartz movement that takes (1) AA Battery. The clock hands will be installed and movement will be installed onto the clock in our shop and will run for a period of no less than 24 hours before shipping to ensure that the mechanism is fully functional and will keep good time. The hands will then be removed and placed in the box with the clock to ensure that they will not be damaged during shipping. 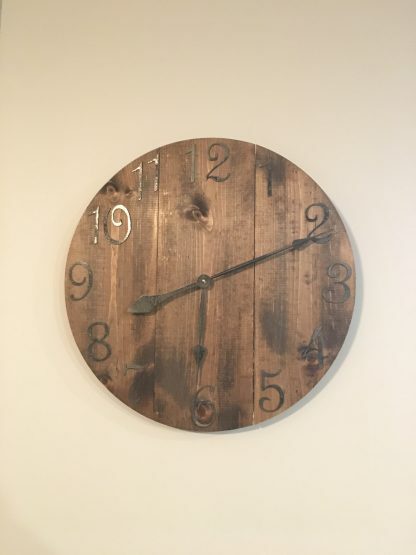 The clock hangs by a very sturdy hanger, held by screws. No vinyl letters. 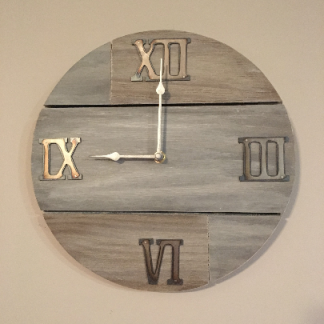 Original or Roman numerals are an option. 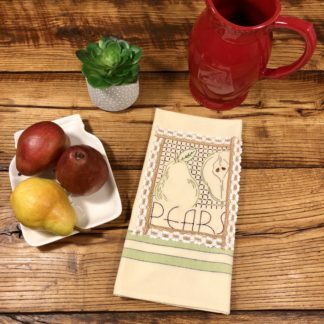 ★ Handmade and hand painted by me and only me, right here in the USA. ★ Custom Painted Wall Clock Materials: Solid pine boards, oak, hickory, cedar, etc. stain, paint. 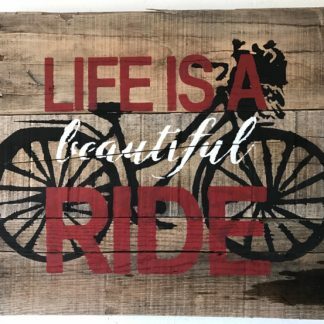 ★ No Vinyl, no MDF and no manufactured stencils are used. 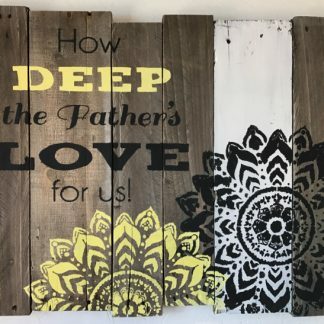 The stencils I do use are designed myself.